Palm Desert, California, a prestigious community known for its elegant style, luxurious spas, trendy cafés and serene surroundings. Marriott Golf Academy℠ is located at Marriott's Shadow Ridge resort which is nestled at the foothills of the Santa Rosa and SanJacinto mountains, where velvety green golf courses add color to the picturesque desert panoramas. 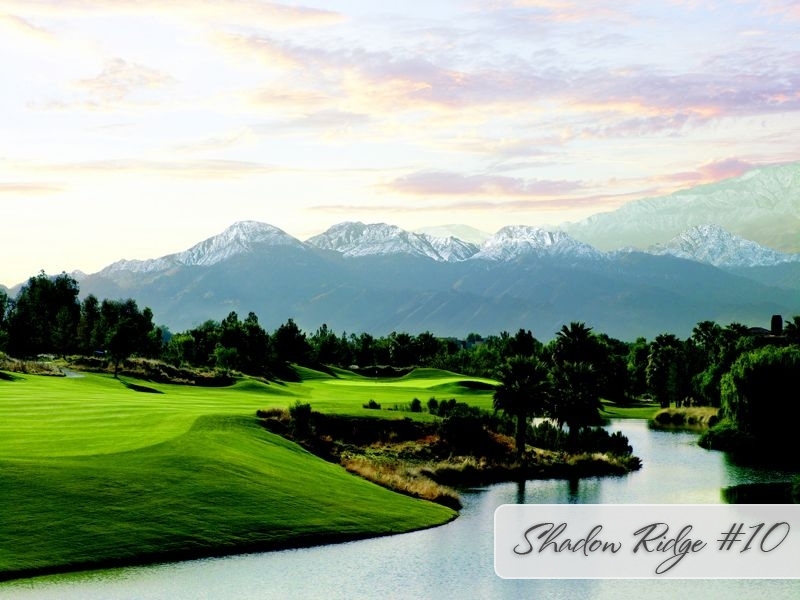 Shadow Ridge Golf Club encases Marriott's Shadow Ridge with its breathtaking golf course; each hole boasts an unforgettable scene of the desert mountains. Inviting villas offer plenty of living and dining space. Tennis courts, a fitness center with steam room and sauna, and sparkling pools with poolside dining complete this desert haven. From world-class shopping and dining to horseback riding and hiking along rugged trails, your vacation in this celebrated desert oasis is a retreat the whole family will love. Shadow Ridge Golf Club completed an extensive bunker renovation, and also improved several design elements on the course. The heightened quality and playability of the course has exceeded our expectations and we are confident you’ll agree that this major investment has further elevated our position as a premier golf course in the Coachella Valley. Marriott Golf Academy offers golf instruction programs that include rounds of golf!